Do you know how it feels to be around your family and having to hold back who you truly are because you will be judged? Do you know how it feels to be in a relationship with someone and you try to express yourself and its overlooked? Do you know how it feels to have friends that always call you to vent and pour their problems out on you but when its your turn they don’t have time anymore? Do you know how it feels to “tip-toe” around people’s emotions because you don’t want to say the wrong thing because it may make them angry or hurt their feelings? Do you know how it feels to have to always be cautious about what you do because you don’t know what mood another person is in? Do you know how it feels to not be able to be vulnerable and ask for help without someone making you feel bad for needing help in the first place? Do you know how it feels to have to be someone’s puppet and not be able to be true to yourself? Well, I can say yes to all of these questions and many more like it. I remember myself being so happy growing up. Never shy, very outgoing, VERY silly, always willing to say how I feel but as I got older something changed. I didn’t want to be judged so I kept quiet. I didn’t want to feel rejected so I would keep my feelings to myself. I didn’t want to lose my friends so I was there for them no matter what. I didn’t want to be the reason that a person would snap so I tried to do everything right. I wanted everyone to be happy even if it costed me my joy. But I am realizing that while I am trying to breathe so much life into other people, I’m losing my breath causing me to slowly die inside. At times we bend over backwards to please other people to only have that person tear you down when you need them. Why do we do this? Why do we allow someone else’s happiness to matter over our own? Do we feel we don’t deserve to have these things? Well I am shouting to myself today that I do deserve every ounce of joy that was given to me. I have allowed my every move to be dictated by someone else’s opinion. Constantly caring about the feelings of others. Well you know what? I DON’T CARE ANYMORE!! 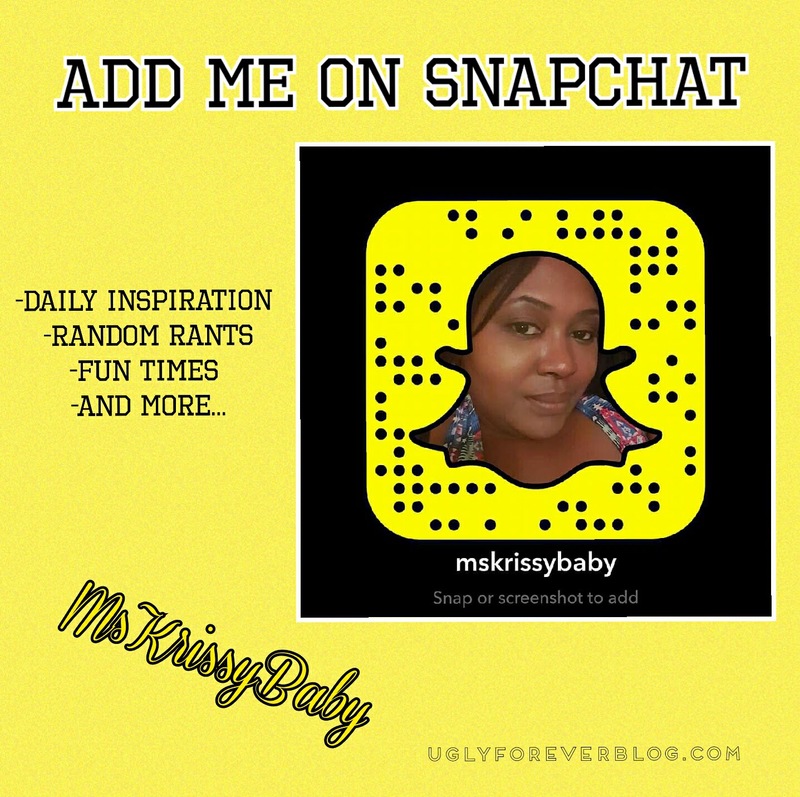 Posted in Motivational Mondays.Tagged Aspirations, Follow Your Dreams, I Don't Care, Krissy G, Love Yourself, Motivational, Motivational Monday, Self Esteem, Self Love, UGLYForever. another great post! I am glad you have decided to love and appreciate yourself! You are a beautiful woman with a beautiful heart and don’t allow anyone to tell you otherwise. Thanks, for your honesty and for being real and open. I appreciate the authentic vibe. I really needed to see this today! Great post! Thanks!! I’m glad you were moved by it!! !